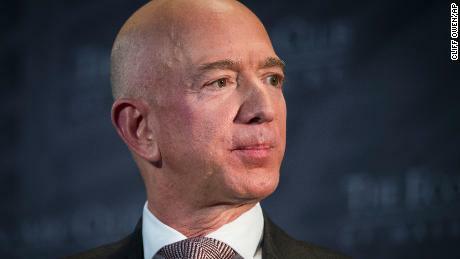 In his blog, accusing American Media (AMI briefly) last week of attempting to blackmail him, Amazon CEO Jeff Bezos also mentioned the "Saudi Corner", which involved the company as if he had left the taste of journalists and prosecutors. to follow. Now federal prosecutors are looking at whether AMI can have a relationship with Beza's violation because it violated last year's immunity. On Monday, the Wall Street Journal reported that last year AMI sent a letter to the Justice Department asking for an opinion on whether to register under the Foreign Agents Registration Act. AMI announced last year's act by publishing a promotional magazine about Saudi Arabia and Bin Salman. The Ad-free magazine was sold in newspapers. Some observers described her brutal image of Saudi Arabia as a "magical kingdom" as propaganda. This is "Example A, where AMI is a strange, difficult to explain, unexplained interaction with Saudi Arabia," said The Daily Beast Spencer Ackerman, who reported the existence of the magazine last weekend. 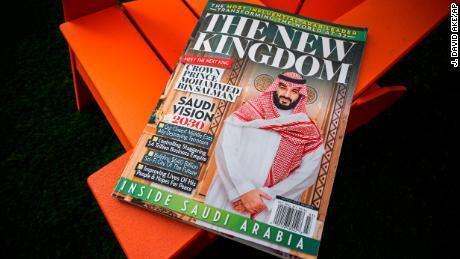 AMI representatives justified the magazine as a wise business royal prince publicly announced trip to the US last March as a reason for "its readers interested" in Saudi Arabia. Pecker's lawyer Elkan Abramowitz told ABC on Sunday that AMI was actually seeking funding from Saudi Arabia. But he said the company "never received." The magazine said on Monday that AMI wrote to the Justice Department "after a few news shops written about the publication of a pro-Saudi magazine." The amended version of the Justice Department's response, which does not mention the media company, says the government concluded that the company in question was not required to register because there was no business relationship between the company and Saudi Arabia. "The American media has no editorial or financial links with Saudi Arabia," the company's spokesman reported to CNN Business in response to Monday's questions. le Tter was written by AMI, which indicates that the company was not completely transparent with the public about the magazine. The letter from DOJ's reply states that the company stated that it was "not required to follow the advice of the adviser". CNN national security analyst Sam Vinograd said that the registration act is designed to protect Americans. "We required foreign media from Russia, China, Japan and South Korea to do this, otherwise Americans have no way of knowing that what they digest really is content or propaganda that a foreign government does or even directs," she said. "Failure to register as a foreign agent actually allows a foreign government to take the information war against Americans as they can secretly influence Americans without their knowledge."